David Nash and Brian Geschickter are the core of our Litigation Practice Group. Patti Jenkins also handles partition proceedings for the firm and litigation support. Bill Lynch provides litigation support with eminent domain, condemnation, and adverse condemnation cases, and with water and sewer and real estate development issues in litigation, and Patti Jenkins provides litigation research and writing support to the Litigation Practice Group. Talmage Jones and Patti Jenkins are available to provide litigation support in caveat proceedings. 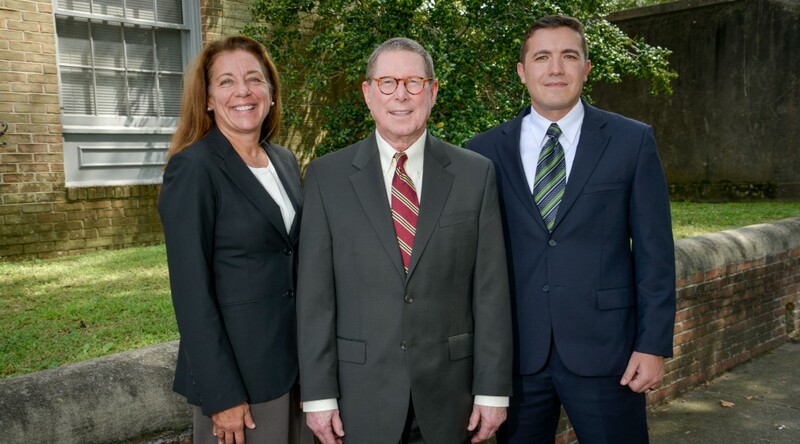 Talmage Jones and Jim Snow are available for litigation support in connection with real estate and business law issues and Talmage Jones and Patti Jenkins are available for litigation support regarding wills, trusts, estates, and tax issues. David represents clients in most areas of civil litigation, including but not limited to condemnation, eminent domain and adverse condemnation litigation, construction litigation, complex litigation, caveat proceedings, commercial law, insurance and insurance defense, banks and banking, torts, negligence, and personal injury, and is at home in the courtroom. Brian represents clients in most areas of civil litigation, including but not limited to condemnation, eminent domain and adverse condemnation litigation, domestic relations and family law, torts, negligence, personal injury, construction litigation, complex litigation, commercial law, insurance and insurance defense, and is at home in the courtroom.